We understand, gift shopping for a family member, friend or lover can be risky if you are not sure about their taste. If you would still like to surprise them with a special piece signed by our independent designers and makers, our gift card is for sure perfect trouble-free solution! Simply choose the value of 20, 50 or 100 eur and the gift card will be sent to your loved one’s email address along with your personalised note. We understand, gift shopping for a family member, friend or lover can be risky if you are not sure about their taste. If you would still like to surprise them with a special piece signed by our independent designers and makers, our online gift card is for sure perfect trouble-free solution! Simply choose the value of 20, 50 or 100 eur and the gift coupon will be sent to your loved one’s email address along with your personalised note. In case you would like to surprise your loved ones on a specific date, we suggest you to send the gift to your own email address and forward it later. You will be able to add your personal message in the basket at the checkout. utopiast gift cards are valid for 1 year so there’s plenty of time to decide what to use them on. They are only redeemable online. Gift card currencies are not convertible. 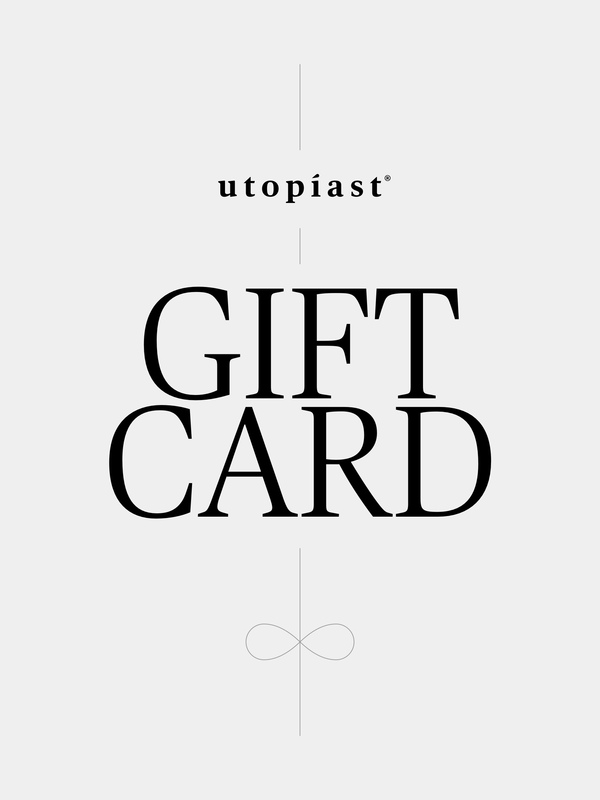 utopiast gift cards are valid for 1 year. They are only redeemable online. Gift card currencies are not convertible.